Hi friends! 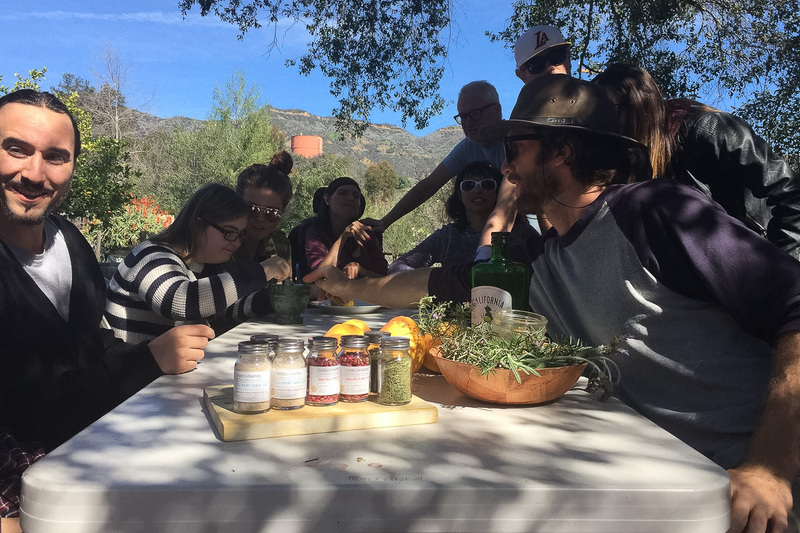 It’s been awhile since I’ve blogged (more on that later), but I could not be any more excited to be back AND to tell you all about Shemesh Farms, an incredible new line of farm-to-jar culinary seasonings created by my brother Davis and a very special group of young people in Southern California. Not only are these products beyond delicious (I’ve been using them on everything recently, from grilled fish to burgers, salads, roasted vegetables, and even popcorn! ), but I especially love the story and mission behind this enterprise. Davis definitely got the green thumb in our family. Whereas my love affair with food has grown and flourished in the kitchen, his thrives in the garden. He sources his own seeds and plants them, carefully tending to the soil and the growing produce until ready to harvest. (He comes by it honestly – both sets of our grandparents were avid gardeners and grew most of their own produce.) I love throwing dinner parties with Davis, where he grows the food and I cook it. If only we didn’t live across the country from each other…! 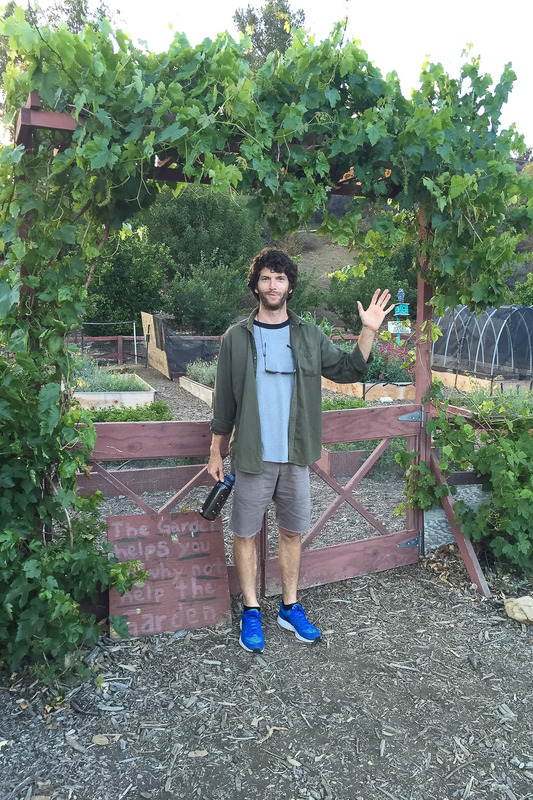 Currently, Davis is the year-round Farm Director at Shalom Institute, a Jewish camp and retreat center in Malibu, California. Smack dab in the middle of a canyon, surrounded by mountains, dry brush, flowering vines and groves of citrus, fig, and olive trees, the setting is absolutely stunning. 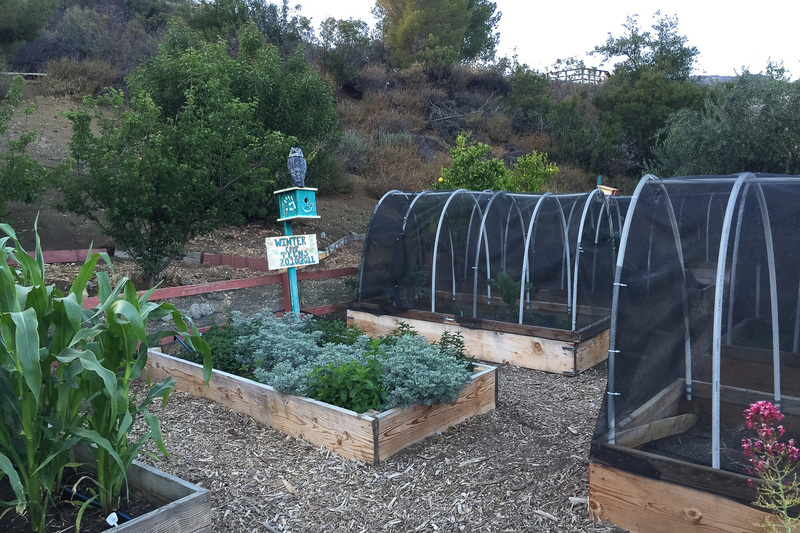 With its balmy weather and long growing season, Malibu is a pretty ideal place to grow your own food. His garden is full of greens – chards, kales, mizuna, and all types of lettuces – and a plethora of vegetables and fresh herbs, as well as pink peppercorn trees and more recently, bee hives. In addition to running Shalom’s organic farm and garden, he’s the co-director of Shemesh Enterprises, a social initiative that empowers young adults with special needs through employment and internships on the farm. These young adults (called “Farm Fellows”) – all with varying mental and physical disabilities – work in Shalom’s farm and garden, bake in the Shemesh Bakery, and create products using produce harvested on the farm, ranging from culinary seasonings to organic bath salts and lip balm. The Fellows seem to genuinely love the work they do on the farm. They harvest herbs, citrus, and other produce, and sit for hours around a table, meticulously picking delicate pink peppercorns, zesting lemons, crushing dried rosemary, and bottling garden salts, all while chatting and laughing with each other. (These fun videos here, here, and here really capture the spirit of what they do!) Davis and director Michelle Cait work alongside them, getting to know each Fellow, and their families, in the process. Davis and Michelle are a fantastic team, each with different strengths, but equally passionate about the program. Several times per month, they sell their products at local farmer’s markets in and around Los Angeles. All the profits from the sale of these products – both from farm stands and online sales – go back into Shemesh Enterprises to continue carrying on this amazing program. They’ve just begun harvesting honey from their bee hives, which will be sold soon, so stay tuned! I love hearing Davis talk about his work. He explained to me that Shemesh is really filling an important need for young adults with special needs, helping them learn new skills, gain independence, and make new friends. Before working at Shemesh, many of the Fellows spent all day at home, unable to find employment elsewhere. This program has truly given many of the Fellows a new purpose in life. I hope you all will support this awesome program. You can order the products here, (each is $10 or less) and you can follow along with all other aspects of farm life at @WatsonOrganics (Shemesh doesn’t currently have their own Instagram account). If you want to learn more or make a visit to the farm, email Davis directly at [email protected] And finally, check out @AnnaCooksDaily for some new recipes I created using all three of the seasonings. Hopefully, you’ll be inspired to give them a try!